Henk Rossouw is a writer committed to poetry as a (political) act of openness, a teacher of writing and of literature, as well as an editor at Gulf Coast literary journal who publishes translations and poetry. Henk Rossouw grew up in Cape Town, South Africa. His poems have appeared in journals such as The Boston Review, The Massachusetts Review, Transom, and The Paris Review. He serves as a poetry editor for Gulf Coast literary journal. From 2001 to 2005, Henk traveled to countries such as Rwanda, Uganda, Liberia, and Congo-Kinshasa, as the Africa correspondent for Washington D.C.’s The Chronicle of Higher Education. He also wrote on the arts and covered the 2005 Zimbabwean election for Newsweek. Henk has taught creative writing courses for Inprint, Putney Student Travel, UMass Amherst, and the University of Houston. Henk got his BA from the University of the Witwatersrand. He graduated in 2011 from the MFA Program for Poets and Writers at the University of Massachusetts Amherst. Currently, he is a PhD student in Literature and Creative Writing and a Teaching Fellow at the University of Houston. In 2009, Henk gave a reading in Times Square as one of the winners of the Poetry Society of America’s Bright Lights Big Verse contest. 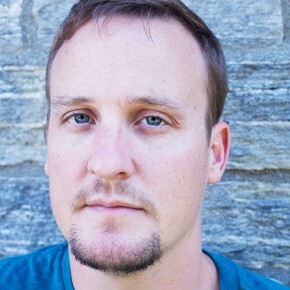 In 2007 his short story “Unslung” won first place in Montreal’s Summer Literary Seminars contest, which included a trip to a literary festival in Kenya. As a Sauve Fellow, Henk published fiction in Tin House, non-fiction in The Threepenny Review, and an interview with the late Nadine Gordimer in The Virginia Quarterly Review. On Dec 1, 2005, he gave the World Aids Day Keynote Address at McGill University. He attended the Bread Loaf Writers’ Conference on scholarship. Free time structured by McGill classes, seminars at Sauve House, and lots of dinners and celebrations in the massive, central kitchen, gave me the opportunity to write creatively and publish my work in new venues.